…dark, smooth, luscious and ethical. This week’s Tablet magazine column looks at upscale Hanukah gelt that is both delicious and socially responsible (fair trade, organic, vegan, Sandy-victims-helping or some combo thereof), and also discusses a book about the history of Jews in the chocolate trade (according to a new book , Jews are pretty much responsible for the spread of chocolate around the world) (“spread of chocolate around the world” sounds like a Nutella reference but isn’t). And now I’m hungry. I loved the article! Thank you! 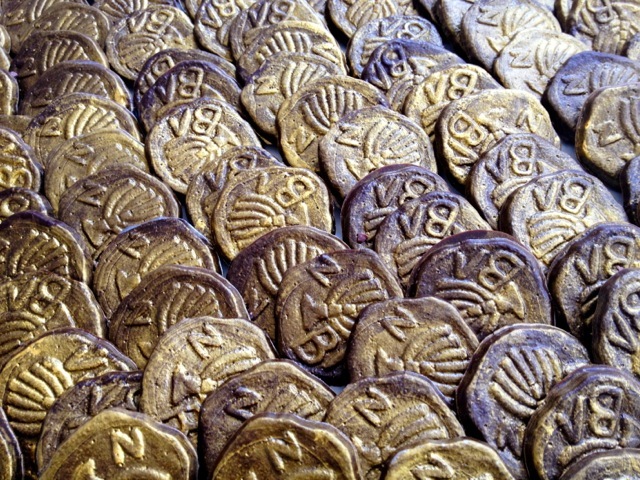 If you get a chance, please visit and “like” our Fair Trade Gelt Campaign page.